Assange has lived in the Ecuadorian embassy for almost seven years. In 2012, Ecuador granted him asylum after he had faced sexual charged in Sweden. Assange claimed the prosecution was politically motivated and worried he would be prosecuted in the US. Before the arrest, he was stripped of his asylum status and Ecuadorian citizenship he gained in 2017, Meduza reports. Ecuadorian president Lenin Moreno explained the step with Assange’s improper behaviour and violations of international law, including the demand not to interfere in international affairs of other states, citing the January release of Vatican documents as an example. 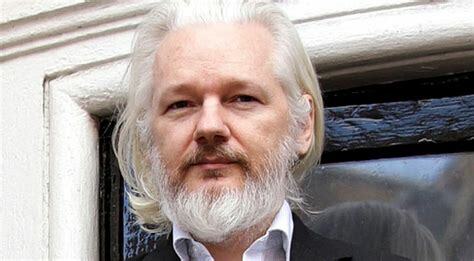 Moreno says Assange used forbidden electronic equipment in the embassy, blocked security cameras, accessed diplomatic files without permission and mistreated guards. The Ecuadorian president emphasised that Ecuador had protected Assange’s rights “for six years and ten months” and got guarantees from the UK that Assange would not be extradited to third countries where he could suffer torture or the death penalty. Assange was taken to a London court and found guilty of skipping bail. He faces up to 12 months in jail in Britain. Scotland Yard then arrested Assange on a warrant from the US. It was for fears of extradition to the US that the WikiLeaks founder sought asylum in Ecuador. Though initially arrested on a warrant issued by a London court in 2012, but later the police said he was further arrested on behalf of the US on an extradition warrant. As the US authorities said on April 11, Assange is charged with conspiracy with WikiLeaks’s informant Chelsea Manning, who provided the organisation with classified documents and communications. The first hearing on the extradition issue is scheduled for May 2. The US must produce its case for Assange’s extradition by June 12.